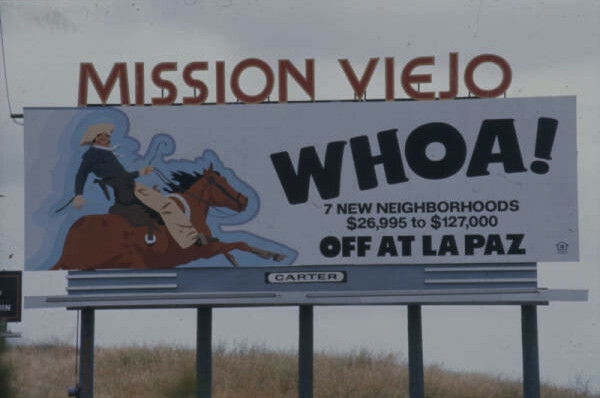 Off the I-5, an old freeway billboard advertising a new southern California town, Mission Viejo. “The California Promise” and “It’s so nice to have Mission Viejo around the house” were slogans used to attract prospective homeowners to take a chance out in the sticks for a pleasant little community that would offer all the best in southern California living. Free movie “The Great Debaters”, MV City Hall Sunday, Feb 20th. Award-winning screenwriter will be there. 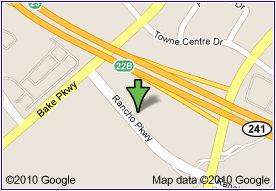 2:00pm at Mission Viejo City Hall Council Chambers. Click for movie details. 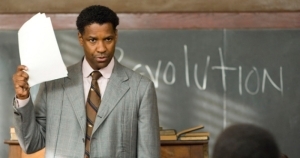 If you’re a Denzel Washington or screenwriter Robert Eisele fan, you’re in for a treat. Did I mention it was free? I can’t wait for the opening of Milos Cafe! The owner, Scott Sellman, projects the opening for 2-3 weeks from now. Take a look at the partial menu! Once you go to that page, you can download the full menu. 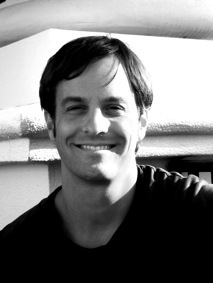 Scott’s inspiration for this restaurant is his love for animals, good food, and health consciousness. Listen to what a cool thing he’s doing. On the patio will be two pens for dogs to play, one for larger dogs, the other for smaller dogs. Rescue groups will be invited to bring their dogs to play in the pens as well, allowing them a chance for adoption. Customers who are considering adoption can see how their dog gets along with a rescue dog of interest. Both customers and rescue groups using the pens will be required to sign releases that their dogs have been vaccinated and will be responsible for the dogs’ behavior. He’s attracted a great chef, Michael Pedersen, who has a wealth of credentials, including Planet Hollywood, HI; Riviera Country Club, Pacific Palisades; Hotel Nikko, Culinary Concepts, and more. Scott has created strong relationships with dog charities all because of the adoption of his two dogs on the same day, Milo and Jake. Milo is a mix of American Bulldog and Sharpei. Jake is a pug, and both were adopted on the same day in February, 2009. Brave dad! Both are graduates of PetSmart obedience school, but Jake has aspirations to be an actor and furthered his education by attending Hollywood Paws in, where else? Hollywood. These dogs are very hip and today, sharing a Facebook page with Scott. Go over and ‘like’ them and keep updated on their interesting lives and Milos Cafe news. www.Facebook.com/MilosCafe. Milos Cafe location: 26771 Rancho Parkway, Lake Forest. Have I ever mentioned what an HGTV-head I am? Nothing glues me like a great before and after, and there’s no shortage of them on this channel. My favorite is Designed to Sell – no way they can do what they do in those miserable ‘before’s with only $2000! 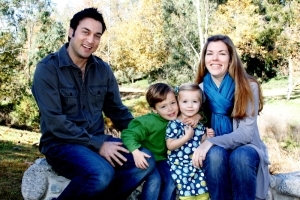 Today I read in the Mission Viejo Life Blog about this young family competing for the free home makeover. They live near Marguerite and Jeronimo, having purchased their home from an elderly woman who purchased the house when it was new — and had not renovated in all that time. Click here to read the story, and from there, you’ll be able to click on HGTV’s website where the Thomas’ have posted three videos showing each area of greatest need – the backyard, kitchen and master bedroom. If you agree that this home should be the winner, add your comments after each video so HGTV knows what you think! C’mon, Mission Viejo, let’s show our support for our homeboy and his family. The homeowner who did the videos, J.T., is very funny and entertaining. Regardless of the outcome of this contest, he needs to move right on to the next contest and register for the next Design Star show.